Each hobby will have a special position on the track that allows him to cheer on his country and show his national colors in the new final phase promoted by Piqué. From Tuesday, April 9, the process of ticket sales for the Davis Cup Madrid Finals begins, which will be held from November 18 to 24. 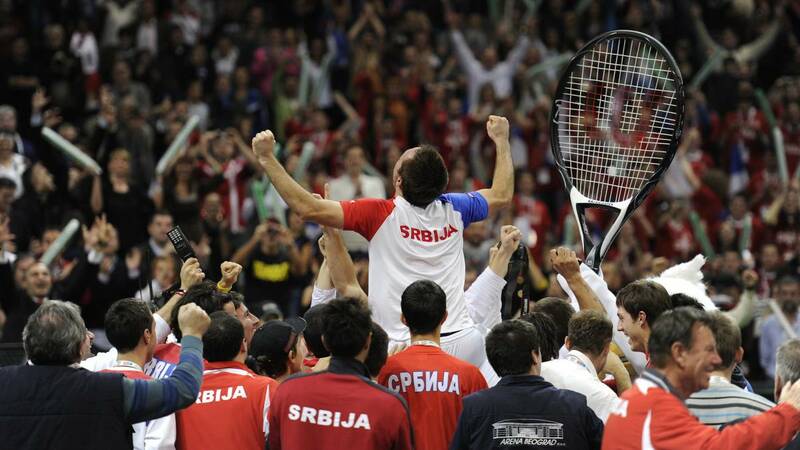 Tickets can be purchased through the official website of the competition www.daviscupfinals.com in its section Entradas. The direct sale of tickets at Caja Mágica will start on Thursday, November 14, four days before the start of the competition. All entries will be numbered. From Tuesday, April 9 at 12 noon until Friday, April 12 at 12 noon, all fans will have the opportunity to purchase their individual tickets with a 20% discount thanks to a special launch promotion of 72 hours. After the celebration of the Qualifiers and the drawing of the competition table on 14 February, the organization of the event has been working together with the national federations of the classified countries to be sure of that all followers receive accurate information on how to access ticket sales in order to encourage their teams. As part of that plan, the fans of each of the countries will have a certain section in the stadiums to ensure that each country will receive the support of their fans in their struggle to try to win the title. Each entry will entitle witness the crossing between two countries (ie, two singles and one doubles) and offer fans the opportunity to show their national colors and encourage their own; or take the opportunity to see the best tennis players from other countries and enjoy at the same time with their varied hobbies. The competition will be played in three courts of the Caja Magica: Pista Central, Stadio 2 and Stadio 3. There is a wide offer of prices: from 25 euros (the cheapest entry) for the duels of the group stage to 60 (the cheapest entry) of the final. Without forgetting that there are special rates for children: children under 5 years old do not pay but can not occupy a seat; up to 8 years, the ticket will cost 10 euros (25 in the final) and 15 euros (30 in the final) up to 12 years. La Caja Mágica, located at Parque Linear del Manzanares, will host the first edition of the new final of the Davis Cup, beginning this 118 year old competition a new stage welcoming the best 18 tennis countries and the best tennis players of the world in order to raise the prized Silver Salad.